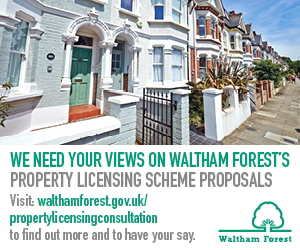 Waltham Forest Council are carrying out a 12-week consultation with residents and landlords across the borough and beyond, inviting comments on two proposed new private rented property licensing schemes. According to the Council, the private rented sector in Waltham Forest is the fastest growing housing sector and is estimated to make up almost 40% of the borough's housing stock. With more and more residents relying on the private rented sector, the Council believes that private rented sector property licensing is the best way to ensure decent, flexible accommodation for them. Some landlords rent out substandard, overcrowded and in some cases, dangerous, accommodation. The Council believe the current scheme has been effective in improving housing conditions, and protecting residents. Since the scheme started, nearly 26,000 licences have been applied for and 1,000 visits/actions relating to anti-social behaviour associated with privately rented properties have taken place. As well as this, there have been 94 successful prosecutions resulting in more than £300,000 in court-imposed fines; and 95 Civil Penalties have been issued, with an average penalty of £7,445. 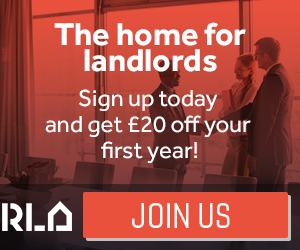 Waltham Forest Council’s current property licensing scheme ends in March 2020 and if the new schemes are introduced, they would come into effect from 1 April 2020. To date, more than 2,000 residents, landlords and tenants have shared their views as part of the consultation. “It’s great that so many residents, landlords and tenants have already shared their views on the consultation but we still want to hear from more people. The consultation runs until Monday 29 April 2019. You can find out more information and take part in the consultation on the council’s website. For more information on the property licensing requirements in Waltham Forest, you can read our free guide here. here.